Sand blasting is a mechanical dry washing process by which AL2O3 is passing through a nozzle with the help of high-speed compress air. Doll can be used for this type of washing. 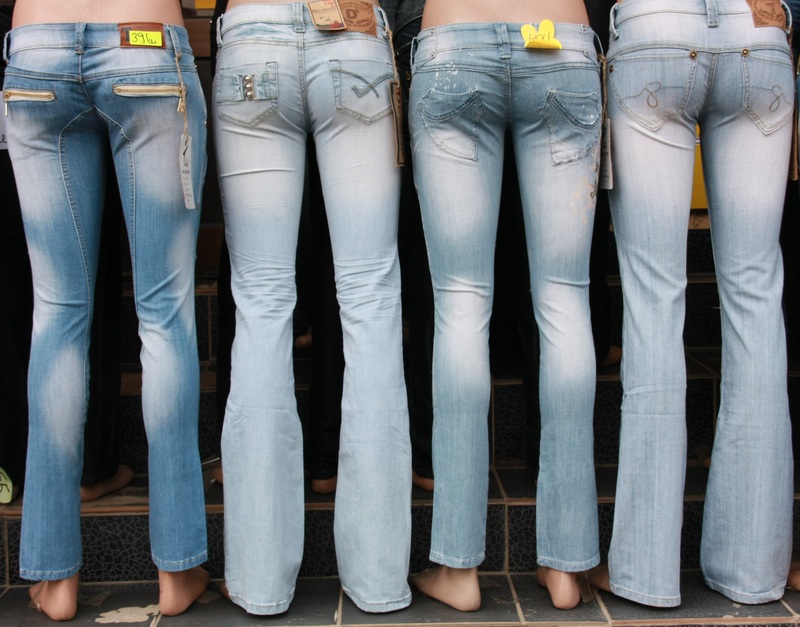 Basically sandblasting is used in heavy garments like; denim, twill, Canvas, corduroy etc. Sandblasting is performed combined with the wash like; Bleach wash, Normal / Rinse wash, Stone enzyme wash, tinting/ dying, Stonewash etc. The main objective of sandblasting washing is to color fading from the specific surface area on the garments. Al203 is passed through a nozzle with the help of compress air. So rubbing is occurred and color is fade from the specific area on the apparel surface. Should use a helmet, Cap. 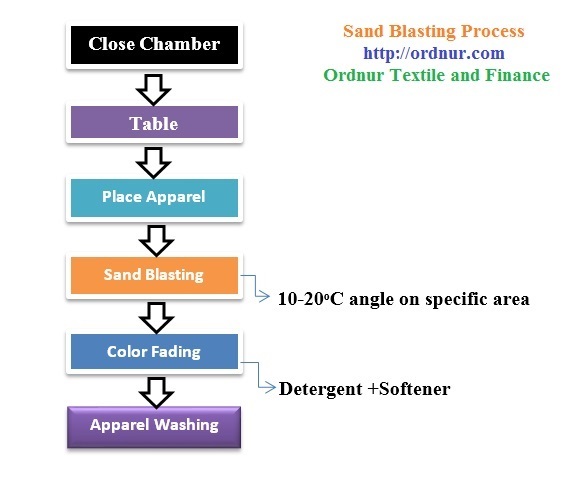 A standard process flow of sand blasting washing is as flows: Close Chamber => Table => Place Apparel => Sand Blasting => Color Fading => Apparel Washing. Nowadays Sand Blasting Washing process is isolate due to health hazardous, it may cause cancer. On the other hand, buyers do not prefer this type of washing because of health issue. Tagged Demerits of Sand Blasting, Disadvantage of Sand Blasting, Objective of Sand Blasting, Precaution of Sand Blasting, Principles of Sand Blasting, Procedure of Sand Blasting, Process Flow Chart of Sand Blasting, Process of Sand Blasting, process of sandblasting, Sand Blasting Washing, Sand Blasting Washing (SiO2), sandblasing in denim, sandblasting washing, what is sandblasting washing.